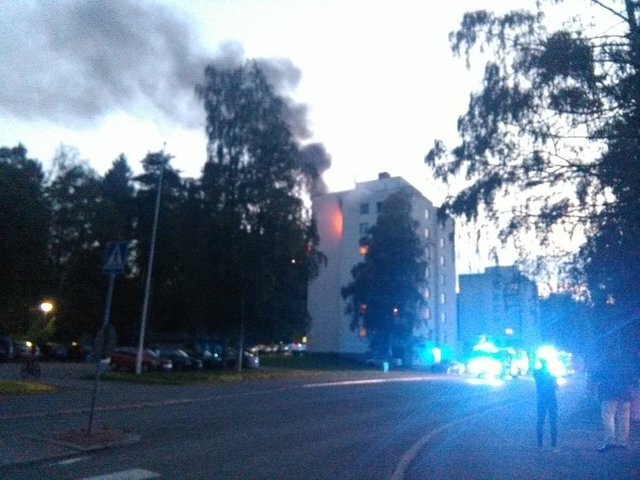 There was a fire in a nearby housing tonight. The best photo I could take trying to keep Ninnu steady in a leash at the same time. Reportedly one person died. I just heard a cry and a slam, but our neighbours who I met at the scene, and others told me they saw someone jump off the building and landing upon a car. That's kind of shaking news. 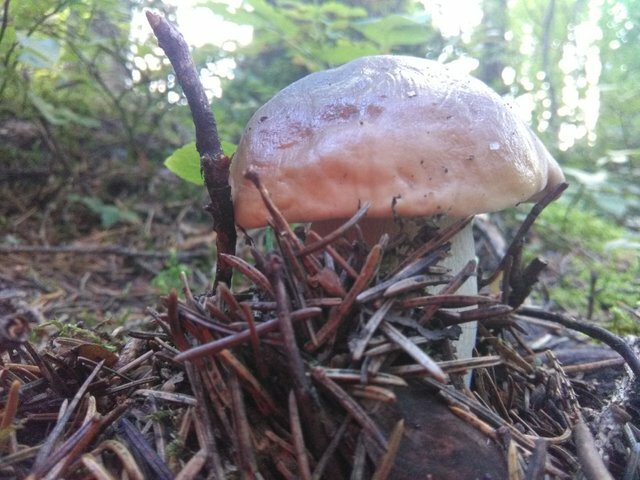 We are going to make a nice mushroom sauce or pot soon. Ninnu also had a lot of fun as we let her run free in the woods while we were foraging. I was meaning to make a stream on editing the photos I shot today, but I never had enough time. I was being interrupted all the time by everyone and frankly lost all interest in streaming (and editing) today. That is terrifying news @gamer00, and I hope that you heard the news wrong and that all people made it OK. Praying. I love picking mushrooms and love eating fresh picked, fried on the pan mushrooms with some onion and garlic. According to that story one man died after jumping from a sixth story balcony. That sounds really bad and hope there were not many severe injured people hope they are safe now. May he rest in Peace by the way . May the soul of the departed rest in peace. Shame to have such a tragedy. That is really sad to hear about the fire incidence. Hi gamer. It is not a nice thing to happen and take it your area is kind of peaceful so it has shocked everyone. Not surprised you lost interest in editing photos. Truth be said I lost the interest in editing a lot before the fire happened. Every time I tried sitting in front of the computer to edit, someone in our family interrupted me and wanted me to do something else entirely and I eventually got fed up trying. Um... hilarious and a sad face? Yes, the fire was ultimately a tragedy for those affected, but we on the other hand did have a pretty good day, not counting the fact I couldn't get much done in the photo side of things. Fire is very danger in human life . This is very sad news . Once my work place got a fire and it was hard to manage it! Sorry to hear that news and it's better jump out of a window than trap into that fire! Coz it's a really hurtful thing, that I could learn while the fire breakout my work place! Be relax and take your time to upload more photography! RIP for who died there! Omg...Definitely sad news to hear. RIP for died person. Hope now fire disaster solve. Ninnu also find fun for her walking. It's positive side of this blog. It's bad fire incident who faced that situation. My deepest sadness to them. Peoples must need to be live with peace. Its a sad news but after that you've enjoyed with ninnu. I hope all has been sorted out properly! And there was no real casualty.